The Jackson State University Farmers Network is to ensure that socially disadvantaged farmers are aware of the various programs available within USDA, and how to fully participate in these programs. 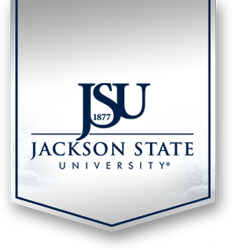 The JSU Farmers’ Network provides technical financial and business services to socially disadvantaged farmers located in the State of Mississippi by Jackson State University College of Business. It also provides farmers with outreach agricultural financial education services in an effort to increase their exposure and participation in USDA programs. The outreach activities will assist socially disadvantaged farmers in operating their farms more efficiently and profitably as continuing business entities. These activities include but are not limited to conducting workshops on “Managing Income Tax Issues Related to your USDA Settlement,” Book Keeping and Record Keeping”, “Business Plan Development”, Marketing Strategies”, “Cash Management,” “New Agricultural Opportunities” and Basic Hands on Training of Microsoft Excel. One-on-one technical assistance will be provided to address income tax issues and operational management. The technical assistance will be provided in three areas: (1) assistance with resolving federal income tax issues; (2) assistance with financial and business management; and (3) outreach and awareness of programs provided by USDA.